Synopsis: Incredible Hulk #244 features the Jade Giant in mortal combat against It, the Living Colossus! Wandering the streets of Los Angeles, Bruce Banner is almost struck by a car and turns into the Hulk. Leaping into the air away from the accident scene, Hulk is blinded by a flash of light from the ground and proceeds to crash a party in the Hollywood Hills in order to find the source of this annoyance. 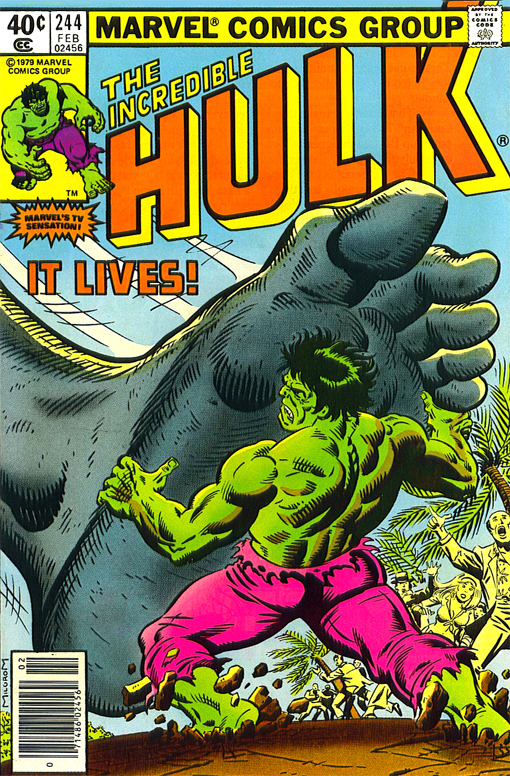 Hulk is then attacked by It, the Living Colossus, under the control of one of the party guests. Hulk defeats It and the apparent puppet master behind the attack falls dead of a heart attack.